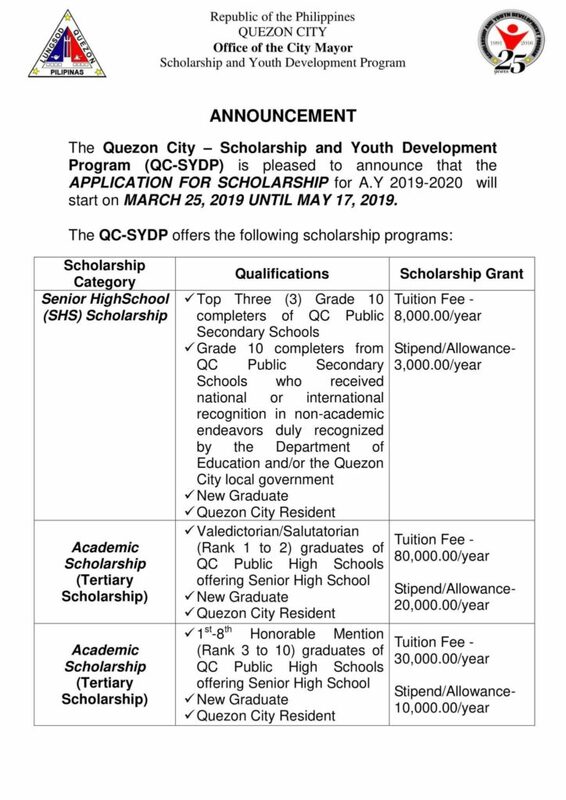 The Quezon City Scholarship and Youth Development Program (QC-SYDP) is pleased to announce that the APPLICATION FOR SCHOLARSHIP for AY 2019-2020 will start on MARCH 25, 2019 UNTIL MAY 17, 2019. 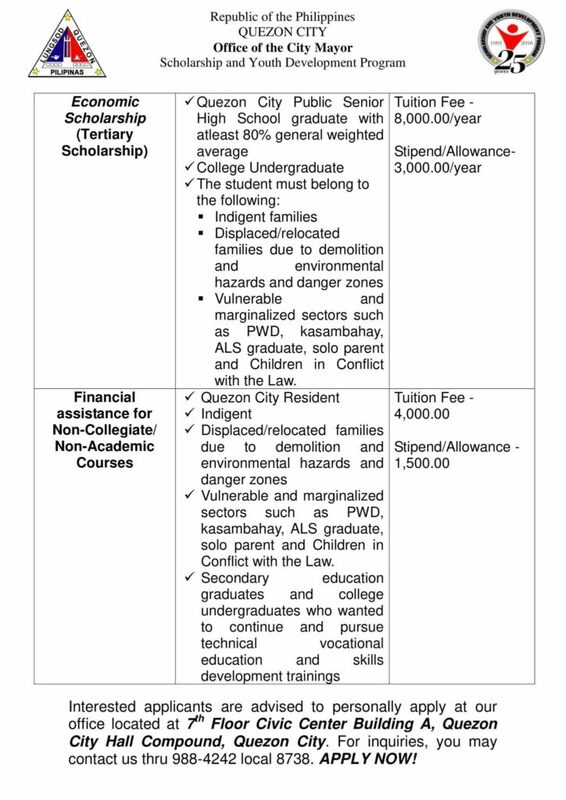 Vulnerable and marginalized sectors such as PWD, kasambahay, ALS graduate, solo parent and Children in Conflict with the Law. Interested applicants are advised to personally apply at our office located at 7th Floor Civic Center Building A, Quezon City Hall Compound, Quezon City. For inquiries, you may contact us thru 988-4242 local 8738. APPLY NOW!